As one of the most prevalent malignancies, breast cancer still remains a significant risk for public health. Common therapeutic strategies include invasive surgery, chemotherapy and anti-herceptin antibodies. Adverse effects, drug resistance and low efficacy of current therapies necessitates the emergence of more effective platforms. Naturally released by the immune system, granzyme B activates multiple pro-apoptotic pathways by cleaving critical substrates. Bacterial cupredoxin, azurin, selectively targets cancer cells via a p53-dependent pathway. Fused by a linker, GrB-Azurin fusion protein was overexpressed in HEK293T cells, and purified by metal chromatography. SDS–PAGE, Western blotting and ELISA were performed to confirm successful expression, purification and analyze binding properties of the fusion protein. After treatment of various breast cancer cell lines with increasing concentrations of GrB-Azurin, quantitative real-time RT-PCR was used to measure relative expression of p21, Fas and DR5 pro-apoptotic genes. 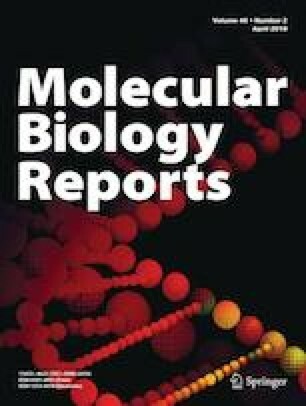 The results of DNA fragmentation and WST-1 cell viability assays indicated significant apoptosis induction in MDA-MB-231, MCF7 and SK-BR-3 cells, while insignificant cytotoxicity was detected on MCF 10A normal breast cells. Herein, we report the development of a novel biotherapeutic against breast cancer. Selective effectiveness of GrB-Azurin fusion protein on different breast cancer cells highlighted the potential of the designed construct as a candidate anti-cancer biodrug. The online version of this article ( https://doi.org/10.1007/s11033-019-04767-x) contains supplementary material, which is available to authorized users.